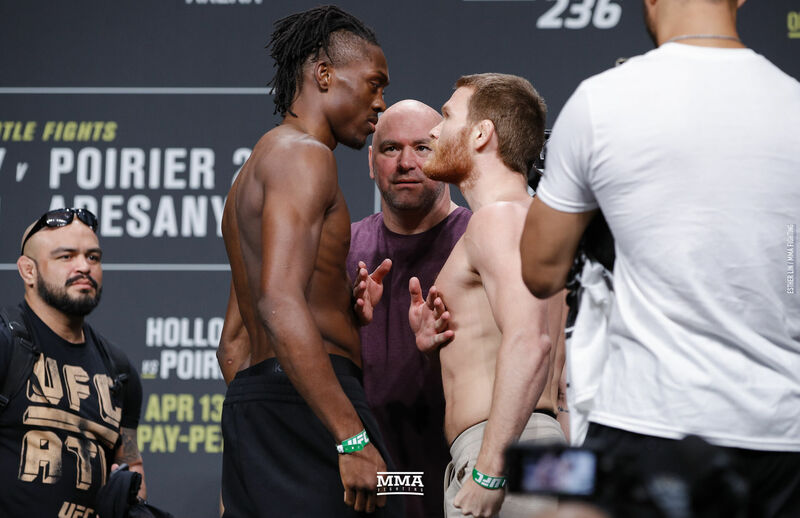 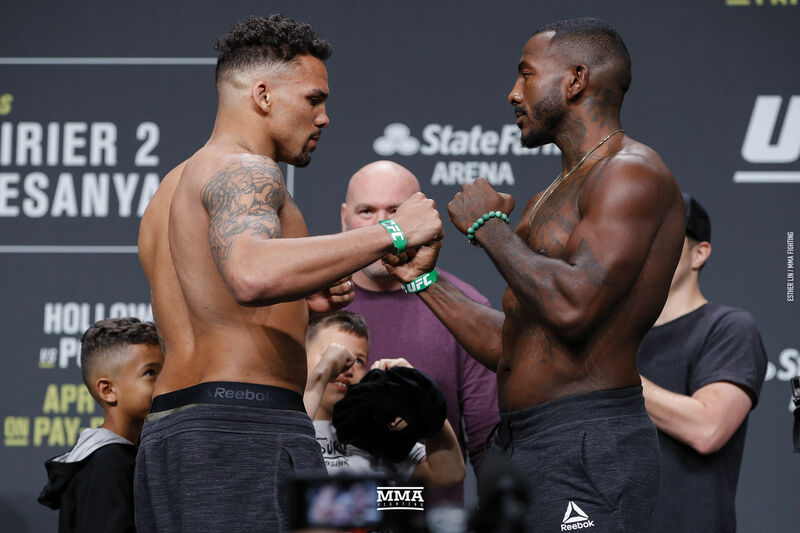 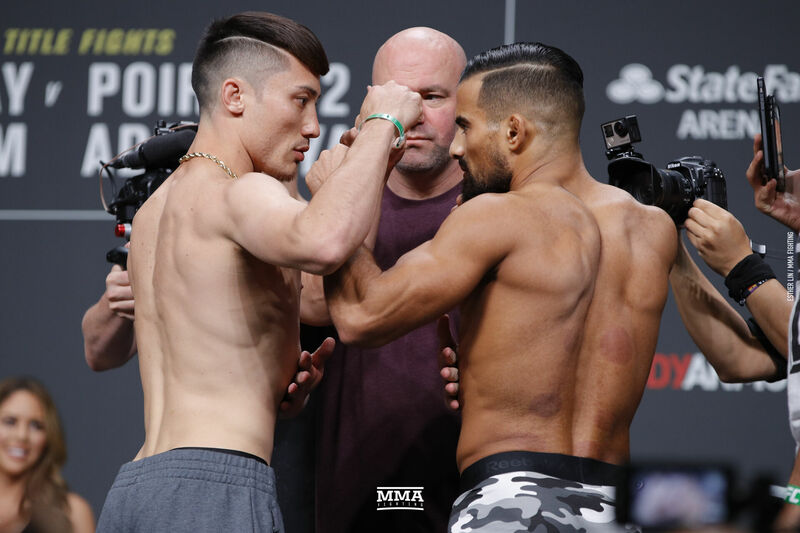 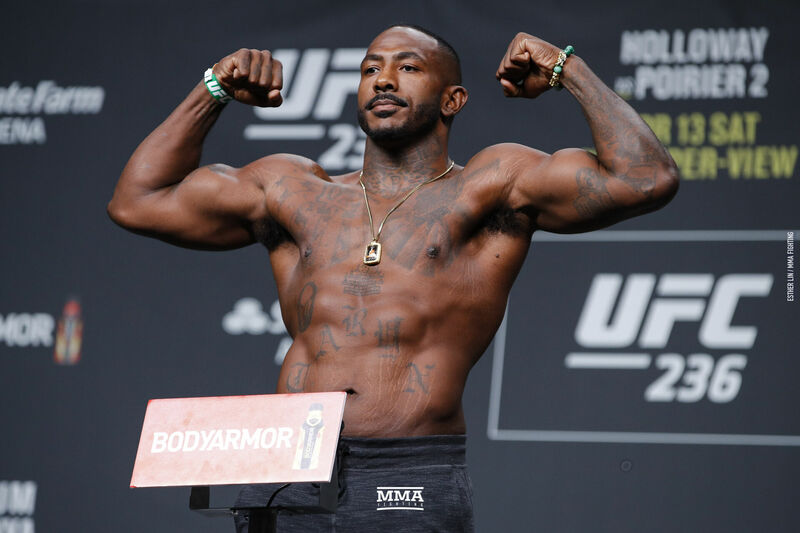 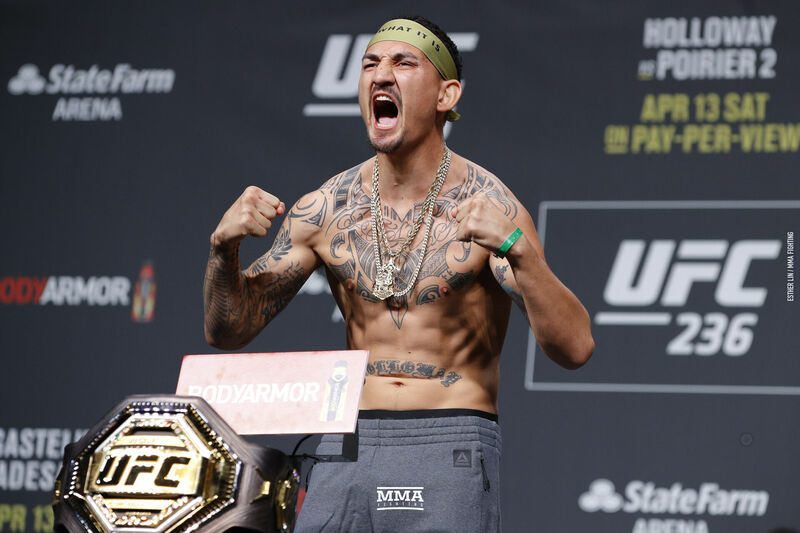 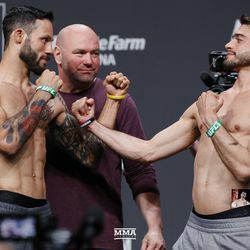 UFC 236 weigh-in photos are for Friday’s UFC event in Atlanta. 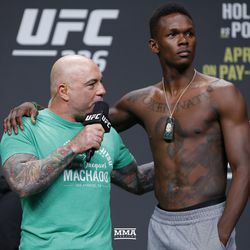 Brandon Davis and Randy Costa at UFC 236 weigh-ins. 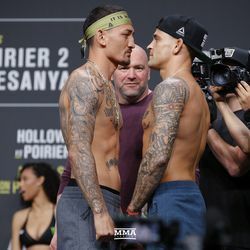 Lauren Mueller and Poliana Botelho at UFC 236 weigh-ins. 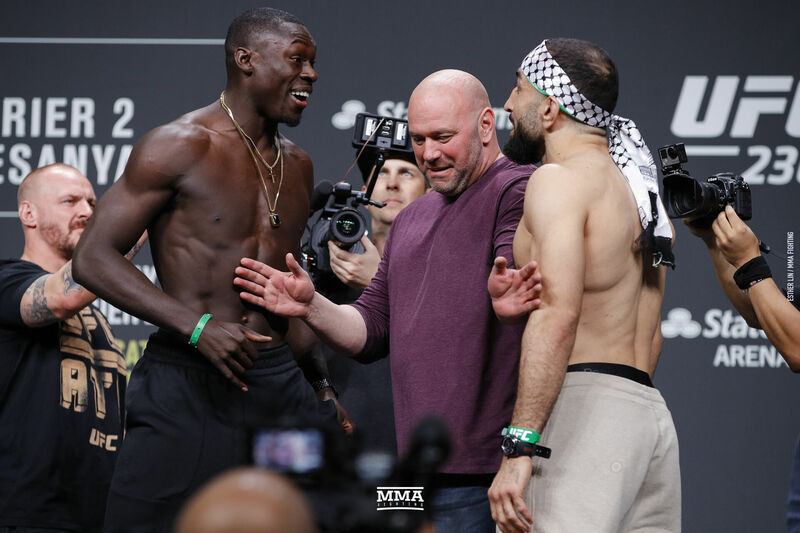 Curtis Millender and Belal Muhammad at UFC 236 weigh-ins. 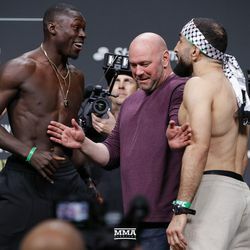 Boston Salmon and Khalid Taha at UFC 236 weigh-ins. 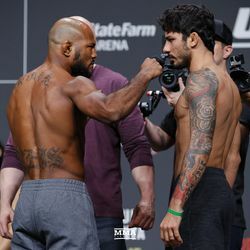 Max Griffin and Zelim Imadaev at UFC 236 weigh-ins. 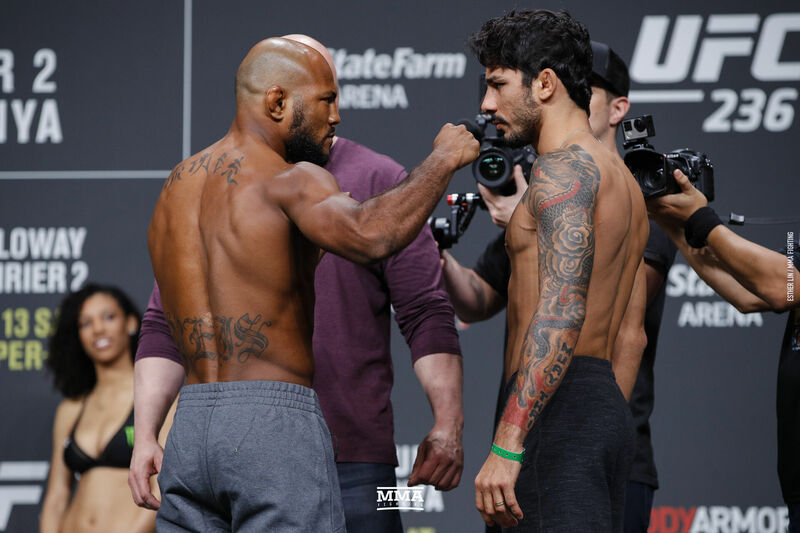 Wilson Reis and Alexandre Pantoja at UFC 236 weigh-ins. 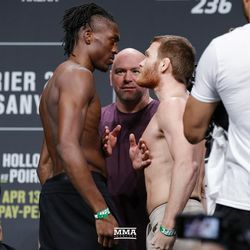 Jalin Turner and Matt Frevola at UFC 236 weigh-ins. 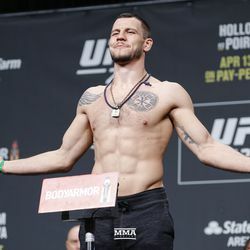 Nikita Krylov at UFC 236 weigh-ins. 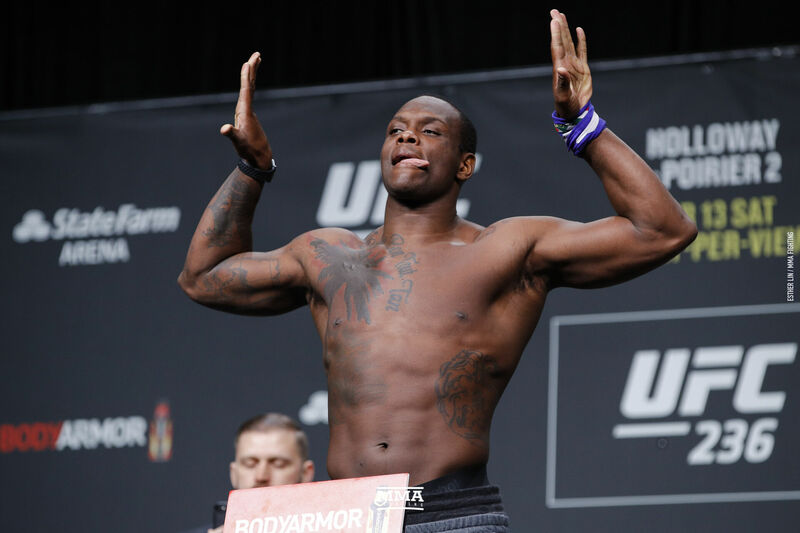 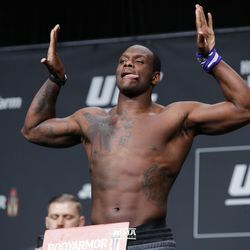 OSP at UFC 236 weigh-ins. 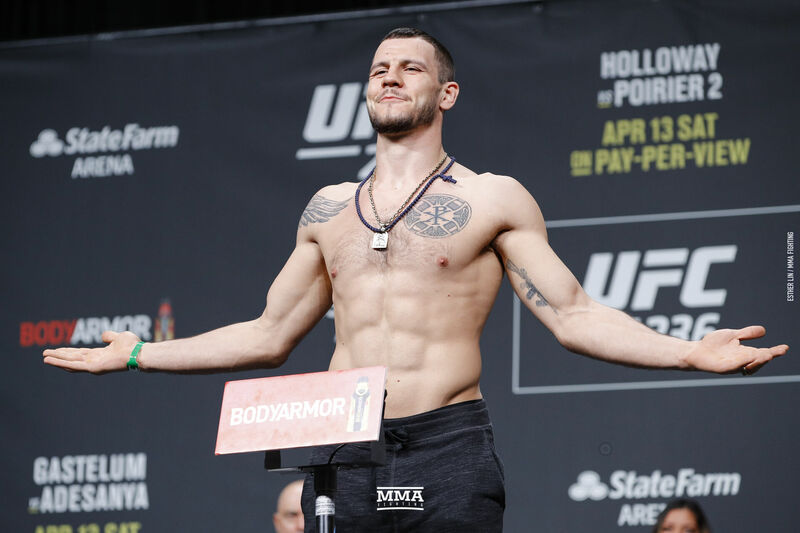 OSP and Nikita Krylov at UFC 236 weigh-ins. 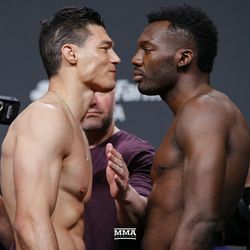 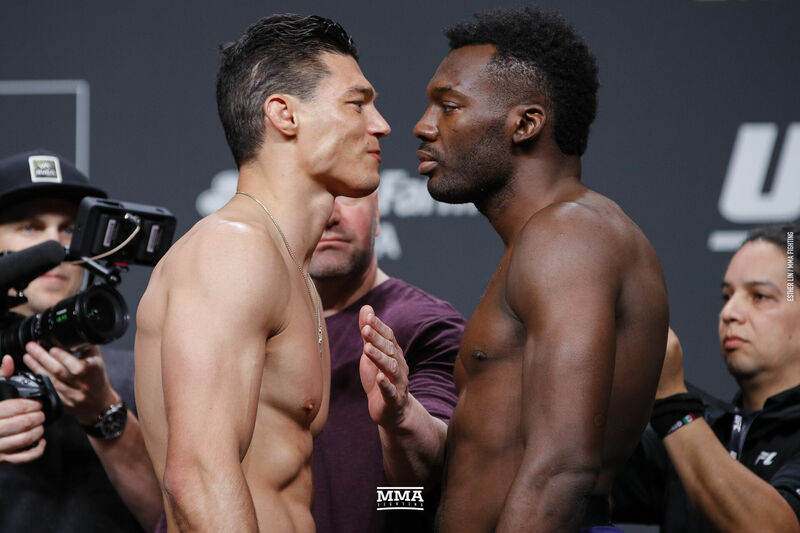 Alan Jouban and Dwight Grant at UFC 236 weigh-ins. 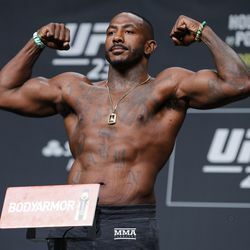 Khalil Rountree Jr. at UFC 236 weigh-ins. 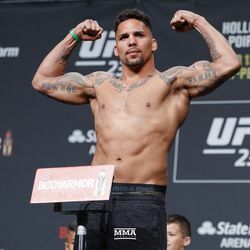 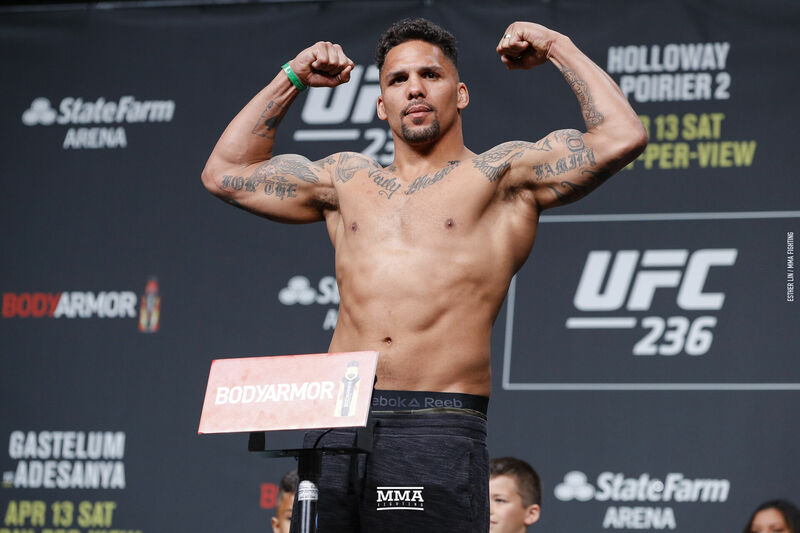 Eryk Anders at UFC 236 weigh-ins. 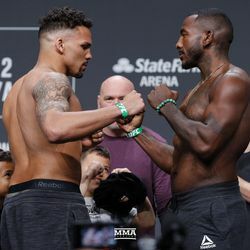 Eryk Anders and Khalil Rountree at UFC 236 weigh-ins. 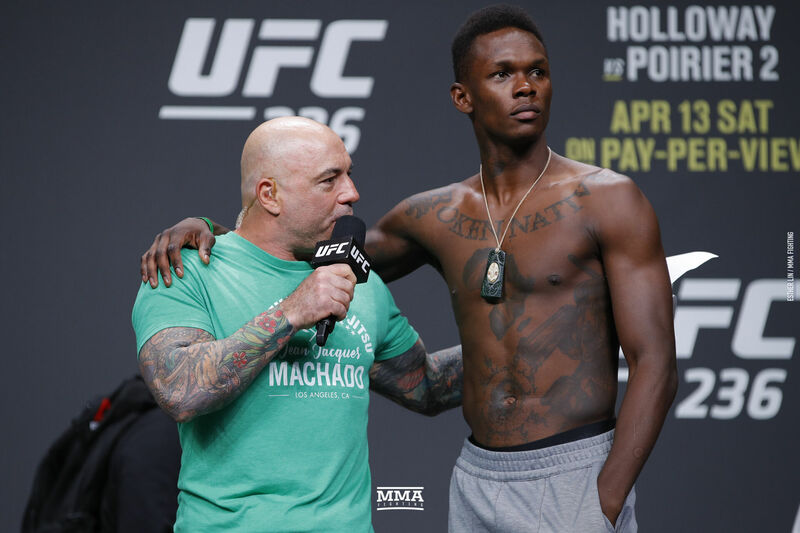 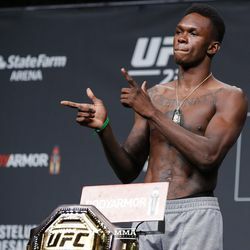 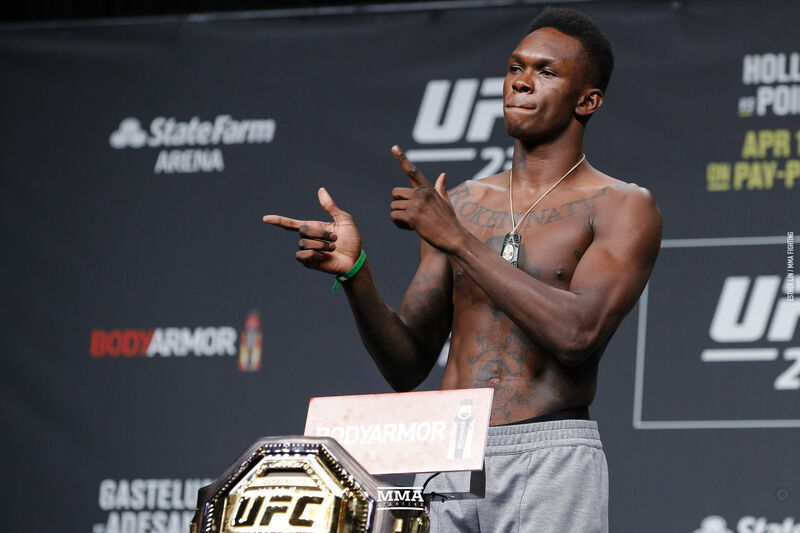 Israel Adesanya at UFC 236 weigh-ins. 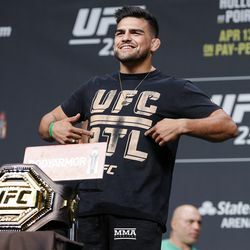 Kelvin Gastelum at UFC 236 weigh-ins. 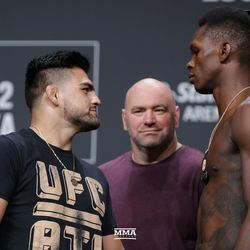 Kelvin Gastelum and Israel Adesanya at UFC 236 weigh-ins. 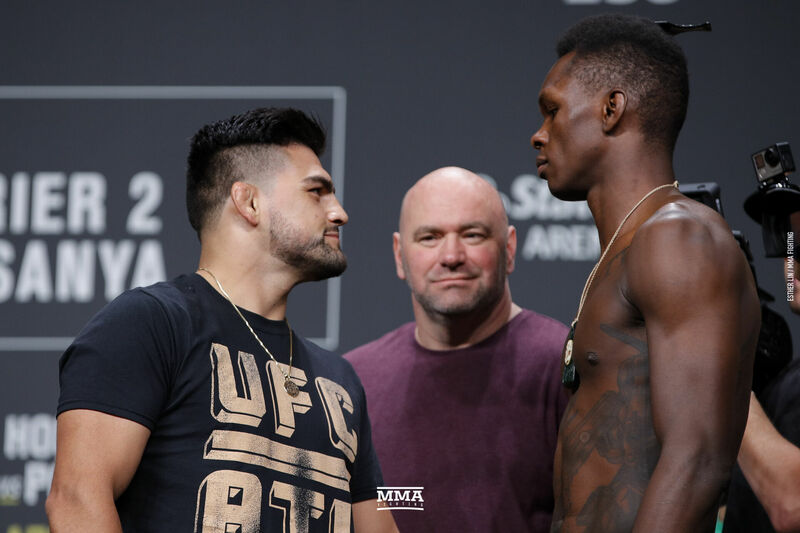 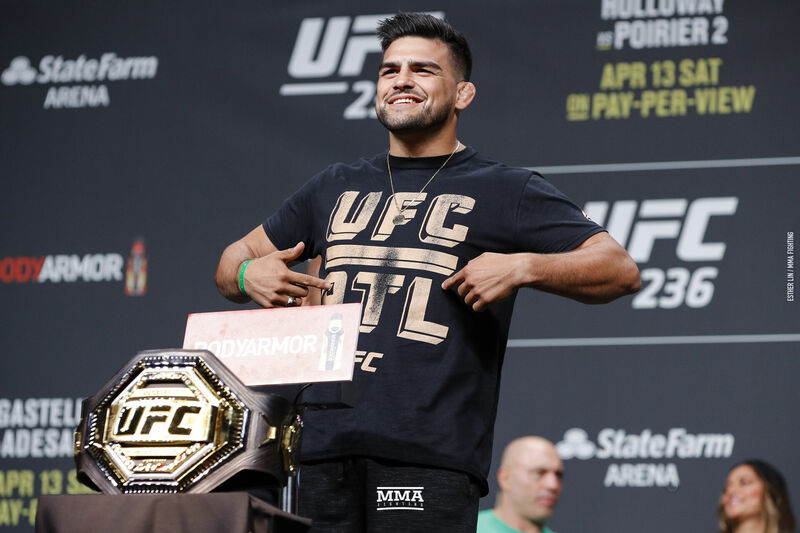 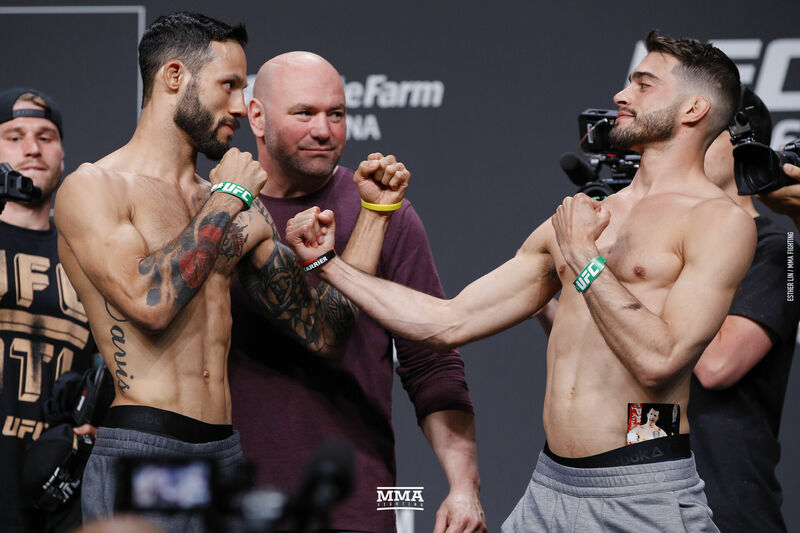 Kelvin Gastelum squares off with Israel Adesanya at UFC 236 weigh-ins. 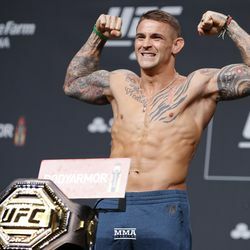 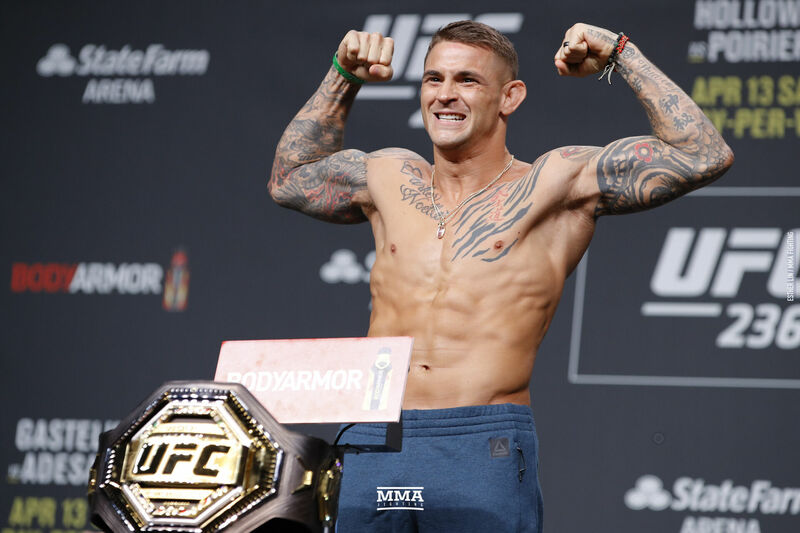 Dustin Poirier at UFC 236 weigh-ins. 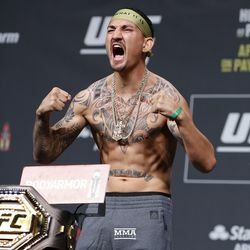 Max Holloway at UFC 236 weigh-ins. 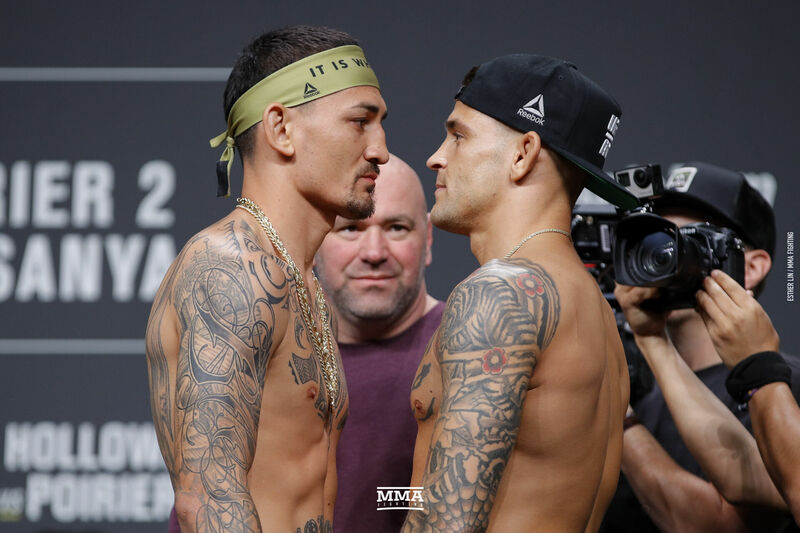 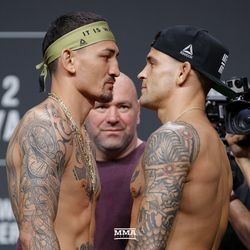 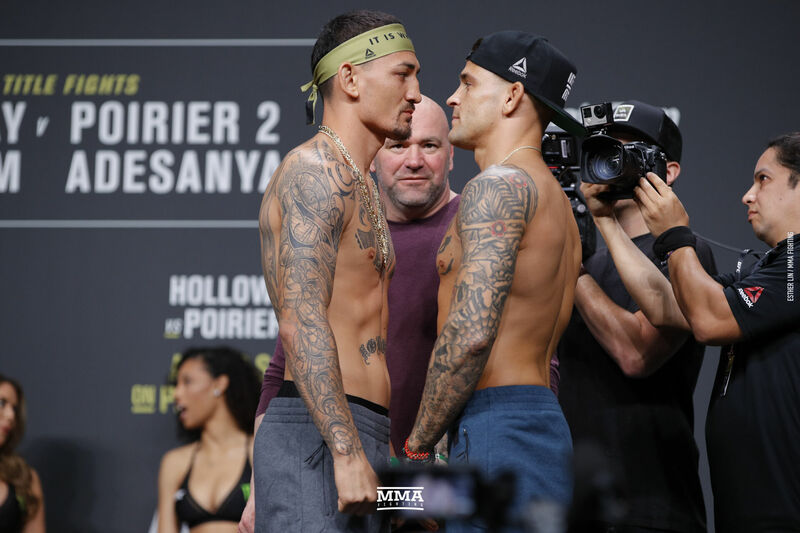 Max Holloway and Dustin Poirier square off at UFC 236 weigh-ins.